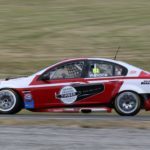 Cambridge V8 driver Nick Ross has finished in second place in the 2018/19 BNT V8s Championship following the sixth and final round held at Hampton Downs over the weekend. 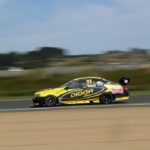 Ross had been locked in a fierce battle with young Australian driver Jack Smith all season with the two drivers going into the final round with Smith leading by a narrow..
Justin Ashwell has clinched the Class Two title in the BNT V8s at Hampton Downs today. After a seesaw battle with nearest rival Matt Podjursky all season long, Ashwell managed to hold on and win the Championship by just a handful of points over the youngster from Inglewood. 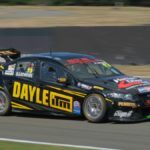 “To Matt and his team this weekend, they rebuilt their car on..
Australian driver Jack Smith has taken out the 2018/19 BNT V8s Championship at Hampton Downs this weekend. 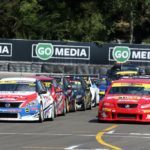 Smith had taken a third placing in the opening race of the weekend on Saturday, however a post race 30-second penalty for contact with Nick Ross relegated him to eighth place. He followed up a fourth place in race two of the weekend..
Holden driver Lance Hughes has taken his first win the BNT V8s 2018/19 Championship at Hampton Downs today. Clinching the Gull pole position earlier today, Hughes lead from start to finish over the 16-lap encounter, was followed to the line by Toyota driver Brenton Grove, while there was plenty of action behind. 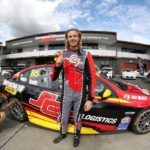 Hughes’ Hamilton Motorsports teammate Jack Smith, currently leads..
With one round remaining at Hampton Downs this coming weekend, there are 225 points up for grabs across the final three races of the BNT V8 season, with Holden driver Jack Smith looking to be the championship favourite. 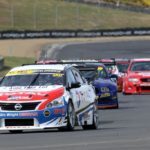 Australian, Smith, holds the BNT V8s Championship lead with 1018 points, 114 clear of the Nissan Altima of Nick Ross. 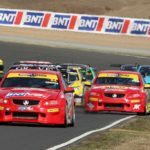 A further..
It’ll be a big weekend for Class One Holden racer Rob Wallace at the final round of the BNT V8s at Hampton Downs on Saturday and Sunday as he chases down a top three spot in the points as well as rookie of the year. Wallace from Tauranga, currently sits in fourth place in points on 742, just 56 points..
Two-time World Touring Car Champion Paul Radisich will return to racing when he lines up in the BNT V8s Championship next weekend at Hampton Downs. Radisich will drive the Collins & Sons Earth Moving and Cartage Ford Mustang in Class Three of the Championship. 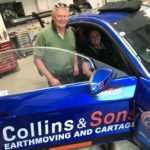 The Mustang was built by car builder Mitchell Race Xtreme, the same builder as the Class..
Taranaki teen Matthew Podjursky, 19, has completed a near-perfect weekend in Class 2 of the BNT V8s Championship at Manfeild Circuit Chris Amon. New Zealand’s premier tin-top racing category held their penultimate round of the 2018/19 season over the weekend as a support series to the New Zealand Grand Prix event. 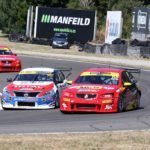 Competing in Class 2 of the championship was Matthew..
BNT V8 driver Brad Lathrope relished the challenge of racing at Manfeild Circuit Chris Amon at Feilding this weekend. “I really enjoy racing down here, Manfeild is a fun track. It looks easy on paper but it’s actually quite technical. If you can get it right and flow all the corners together it’s wicked,” Brad says. His Dayle ITM #73..
Australian driver Jack Smith has taken the round win at Manfeild Circuit Chris Amon at Feilding this weekend. Race two of the weekend held on Sunday morning was won by Smith, with Nick Ross and Lance Hughes rounding out the podium. Smith and the Nissan of Nick Ross battled throughout the race, before a decisive move by Smith saw him..